Where artists and listeners can feel at home together. A message from our founder, Sabrina Boyd. Launching Living Room Marketing was a crazy leap, and I’m incredibly proud that I decided to take it. I’ve learned so much about music, business, and life. I’ve met incredible people and been a part of some pretty cool projects. But unfortunately, life has thrown a lot of changes at me lately, and at this time, I need to take a step back and pause the LRM business for a while. This stock image of "burnout" is pretty much how I felt every day, until I made the decision to cut back. There are a multitude of simple, surface reasons for my decision: I have a full-time day job that I really enjoy and it’s gotten harder to find time to manage clients on the side. I’ve been traveling a ton over the summer. I’m moving from Nashville to Philadelphia next month, and planning a wedding in less than a year. But deeper down, in that space we all hide from the public because we don’t want to seem weak, I honestly just need a break. See, I made a classic and critical mistake: I let my passion become work. Yes, I want to be passionate about my work, but I don’t want the things I’m passionate about to feel like work. Over the past year, I’ve been working constantly: nights, weekends, even in my dreams (for real), never stopping to take a breath, never stopping to enjoy the other beauties and comforts in life. I kept hearing people say that you have to do that, talking about how many hours they put in for their endeavors and glorifying “the hustle,” so I thought that was just what I have to do. It wore me down, and my work became something getting in the way of me enjoying life rather than one of the things that made me enjoy life. I guess this is what “burnout” is. I’m not afraid to admit it. Burnout is real, and it’s a b*tch. 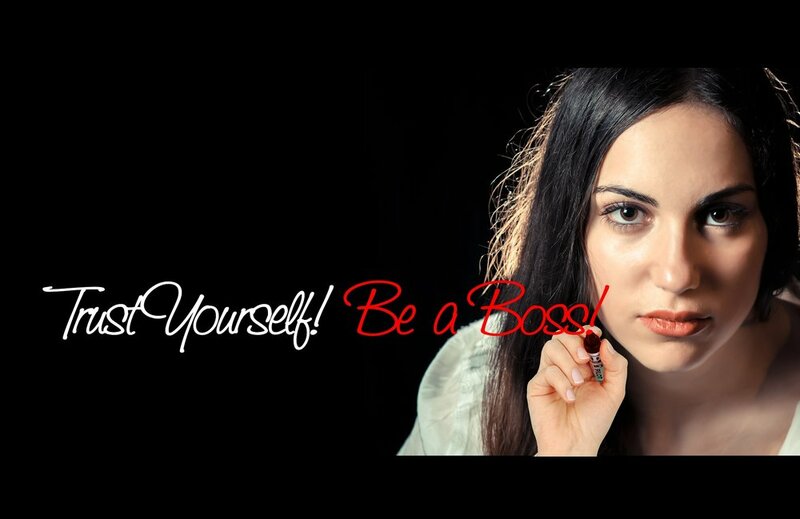 "Be a boss" - words like this were meant to inspire me, but they've led me to work myself into the ground. I’m sharing all of this because I know I’m not alone in feeling this way, and I want you all to know it’s okay to stop. People rarely say that. They say “give it all you’ve got” and “keep at it” and “you’re a powerhouse” when you work 60-hour weeks, but they don’t say “take a break when you need it.” Well, I’m saying take a break when you need it. Otherwise you’ll be so busy doing whatever it is you’re doing that you can forget why you started doing it. And it can be bad for your health, too. Just ask my chiropractor who spent the last four months re-aligning my neck and spine because of what stress has done to my body. And that’s not even mentioning the barrage of mental health conditions that spiral from stress and anxiety. Please, please do not overlook your mental health. I have this (hopefully) irrational fear that some people will read this and think I couldn’t make it, that I didn’t have what it takes and I’m giving up. Part of me feels like I’m letting down my community of entrepreneurs, musicians, and such inspiring friends and collaborators by turning away from the business I’ve been building. But this isn’t me quitting. I still love music with all my heart, and that’s not going to change. I will still be involved with music in some way, and LRM may come back someday. For now, though, I’m going to focus on other parts of my life that are as much a part of me as my work. So I hope the same people who have supported me and who I always see supporting each other through the hustle will support me now in my decision to slow down and take some time for myself. Thank you to everyone who has helped make Living Room Marketing happen. And to all the artists and music business folk out there, I’m always around to chat about anything. If you’re looking for advice or just want to brainstorm about a project, I would love to hear what you’re working on, and of course, we can still hang out even if we’re not talking about music. Thank you, friends, and I’ll see you around. Taking some time to spread my wings and be free...and to find what lifts me. Sign up for our newsletter to receive updates when we are accepting new clients. Your email will only be used to send updates on LRM's activity. We will never share your private information. Thank you! You'll be hearing from us soon! LRM is going on hold while I take some time for personal reflection. Here's what led me to this decision and my thoughts on burnout, "the hustle," and the importance of mental and emotional health. Simple steps to making a clean and fan-friendly website, and what's really useful for musicians to include.